This beautiful, modern and elegant dress has only been worn once. It is very light weight and breathes cool while dancing. 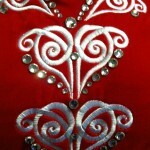 The bodice is a soft, scarlet red velvet with extraordinary pure white embroidery and hundreds of Swarovski crystals. 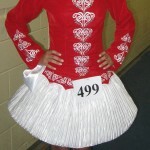 The skirt is white pleated satin and is one panel but moves easily for high kicks and other movement. 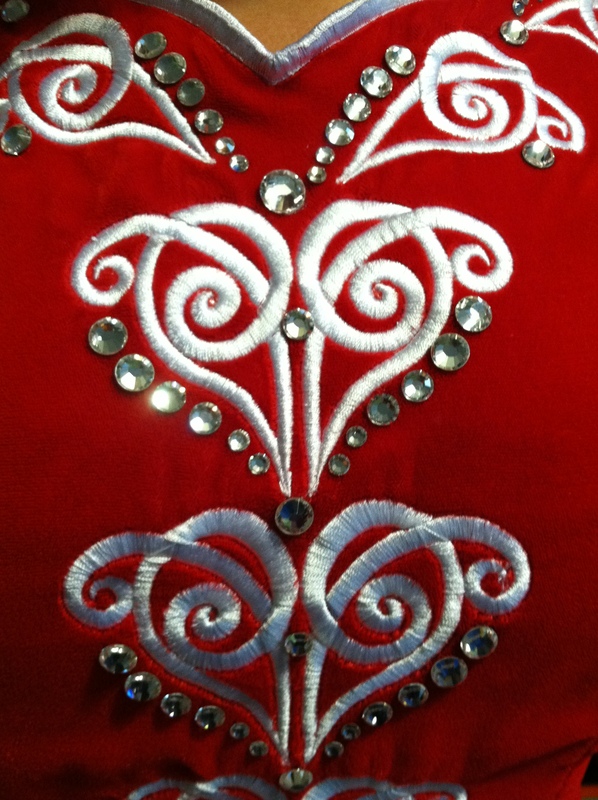 The cape and head band are white satin with red embroidery and Swarovski crystals. White satin bloomers are included. 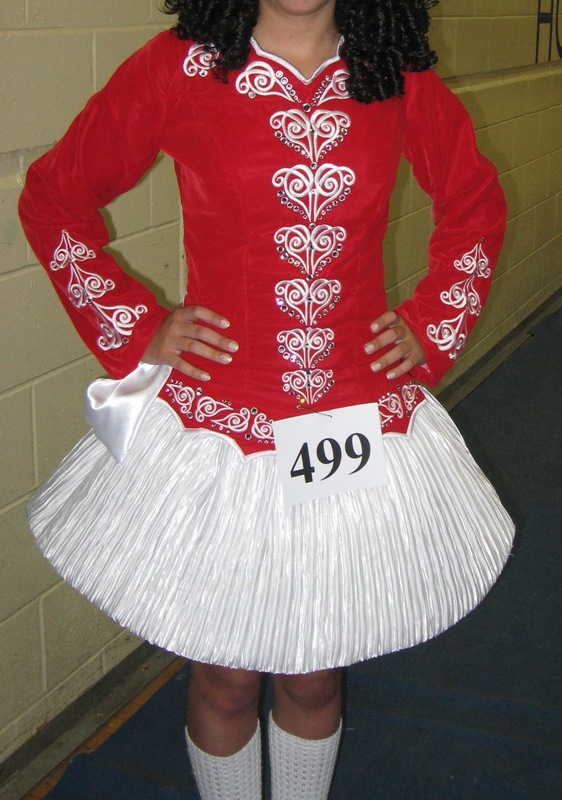 This dress is up to date and is sure to catch any eye on stage. Asking Price: $US950. Shipping costs are not included in the asking price. Sale is final.